The Hamilton family move into a large country house on the Yorkshire Moors to supervise its restoration from a dilapidated B&B to the original Victorian grandeur. When Meg Hamilton, wife, mother and renovation expert first loses her London team after an accident, then a local Yorkshire team too superstitious to continue, she�s forced to carry on alone. 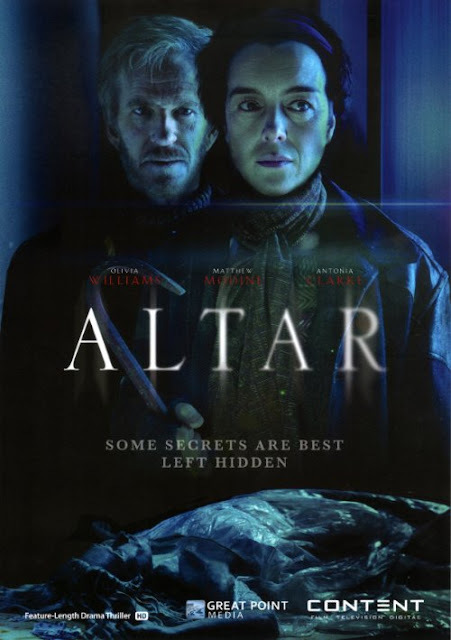 The discovery of a secret attic room, a Rosicrucian mosaic, a bricked up root cellar and many other unexplainable events gradually convince Meg, her husband Alec and children Penny and Harper, that they�re not only restoring the house, but also its original Victorian owners who died 150 years ago. But before they can escape, the house � and its former occupants � force them to spend one last, terrifying night under its roof.